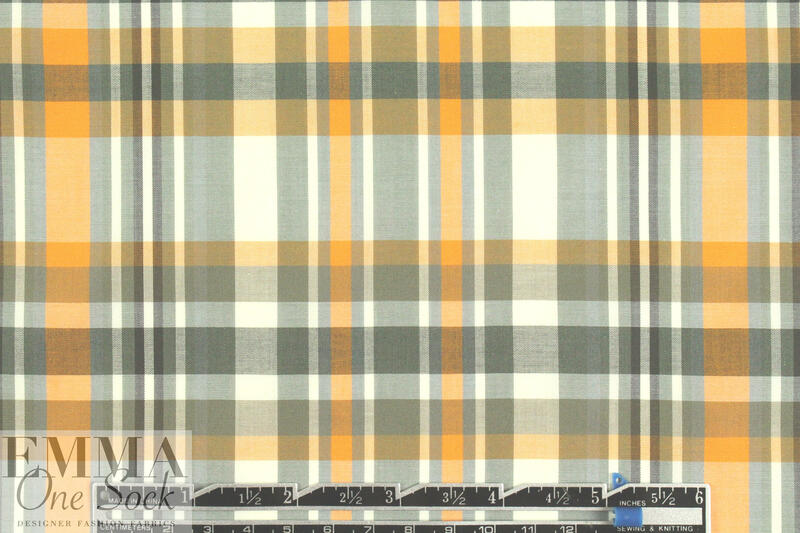 This gorgeous shirting is from a US rep for high end French and Italian fabrics -- they are closing and selling off all of their amazing stock. 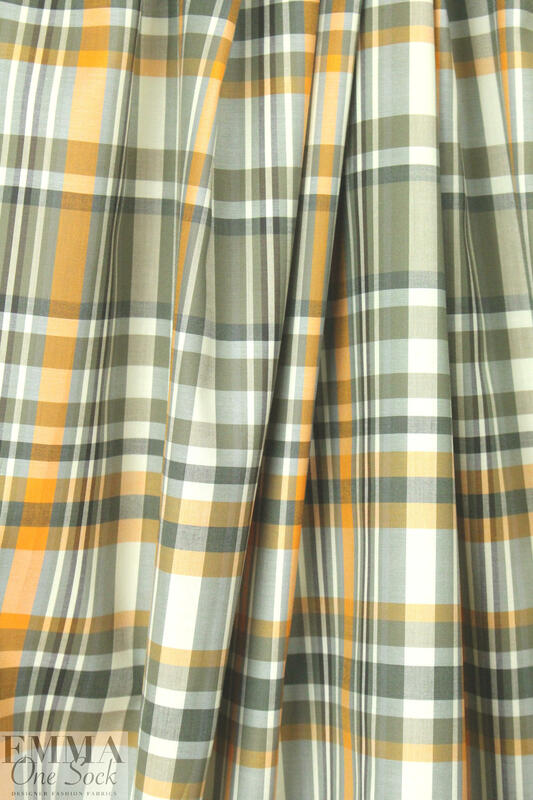 It is a lovely quality French yarn dyed plaid cotton shirting (10" repeat) with tones of orange sorbet, thyme and ivory (PANTONE 17-0618, 15-1160, etc.). 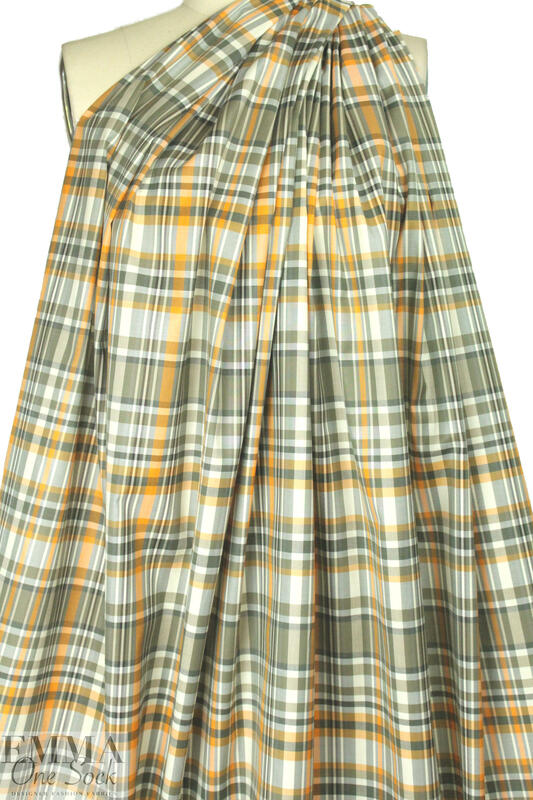 A lightweight woven with a very tight weave and a soft cottony drape, it is perfect for a mens' or ladies' classic shirt or a tunic, dress, etc. If you wish to hand or machine wash, please test first. Hang to dry. LAST PIECE, 1.75 yds.